Is Your Church Known by Love This Way? 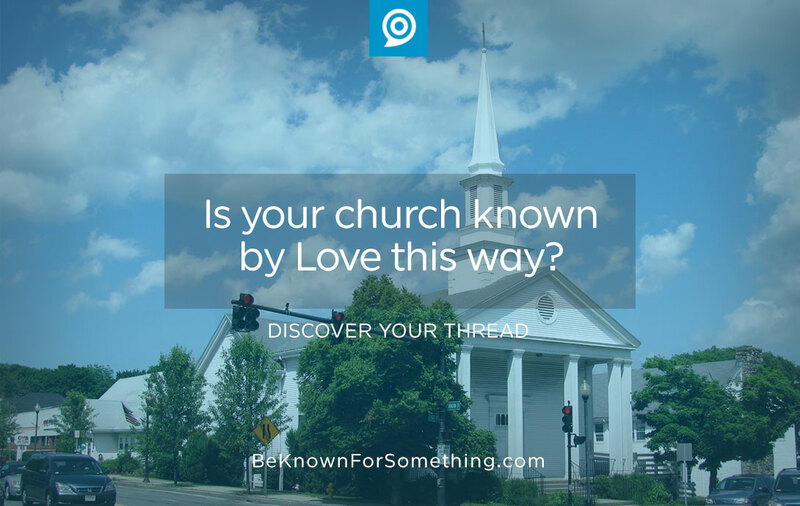 Be Known for Something : Discover Your Church Communication Thread / Communications / Is Your Church Known by Love This Way? Church is a group of Christ-Followers, and Christ asked us to love like He does. When each of us follow His example, we will be known for Love. Being known for something requires consistency and strategic intention. It’s not easy. Often we find ourselves apologizing for the Christian on Facebook or for the inappropriate workplace comments that are made by a church attender. Sadly, we’ve become known for being against more things than for what we lovingly aspire to be. This needs to change in order to truly be identified as Christ-followers. Properly Welcome. 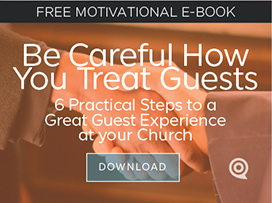 A vast majority who visit your church initially will have looked online at your web presence before entering. Are they welcomed there? This isn’t about simply saying “welcome to Community Church website”; in fact I’d recommend not saying it at all. Let them see it demonstrated. A first time guest area is a great way to say you’re interested in them. For your regular attenders who visit your website and social media pages, do they understand that you listen and care? If someone comments, do you respond quickly and with encouragement? Once on campus, consider everyone’s experience starting with the parking area all the way through to every meeting area. Create an atmosphere of inclusion; not only with Guest Service volunteers, but with everyone on campus. This must become intentional and part of your DNA. Community. Church is about interactions. Love is about peaceful, encouraging engagements. Have you considered the 5 Love Languages (Gary Chapman’s book) in your congregation? If everyone feels love differently, are you loving everyone differently? Consider how you can deliver words of affirmation, acts of service, gift-giving, physical touch (careful), and quality time. As we know, when people feel loved they’ll be more apt to demonstrate it back. Make sure they have easy opportunities within your ministries. Communication. Love is about communication. Lasting marriages and relationships must have the mechanism and desire to share openly. Does your church have the easy process to take and share Prayer requests? Talk to leadership freely? Or how about the ability and transparency to discuss disagreements? Love is kind, patient, and willing… to hold people to a higher standard of Biblical proportions. Together, as Christ-Followers, we can become known for our love. Not just at special times like Valentine’s Day, but every day. It’ll be difficult but so worth it.